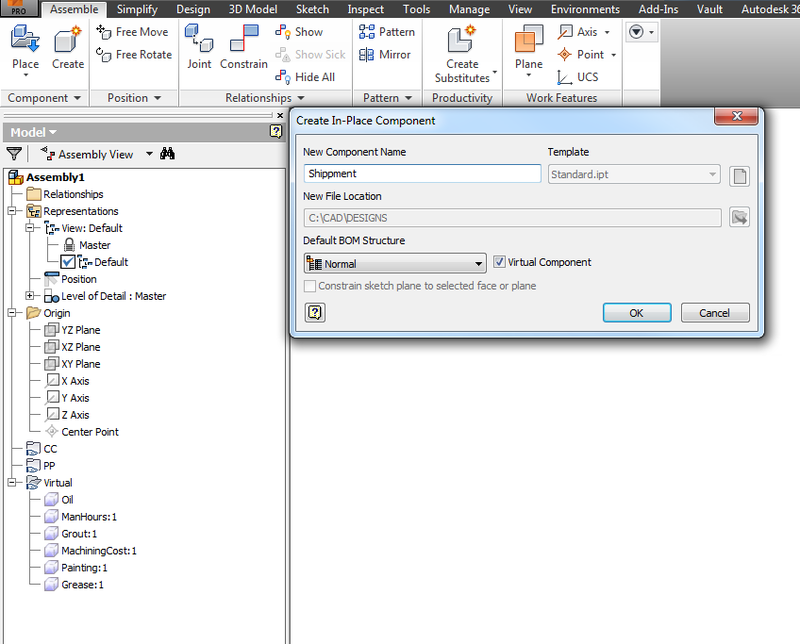 There is a lot of info on the internet on how to setup your template files and many of you have already configured the drawing template, adding title blocks, borders and some symbols maybe. 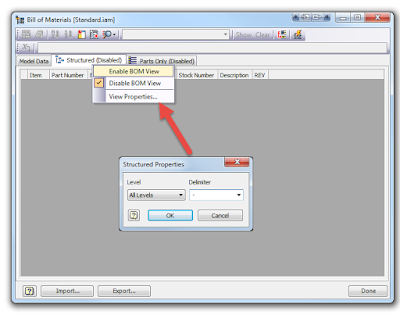 You have probably edited the part template and changed the default material but chances are that you haven’t altered your assembly template too much if at all. I am saying this because I see recurring questions popping out every once in while by frustrated people doing repetitive tasks that could have been avoided with a proper setup of their assembly template. One of the main things that will save a lot of frustration would be to setup a new design view representation as default instead of the locked “Master”. 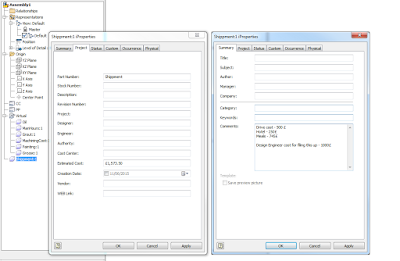 God knows how many times I’ve found Assemblies that cannot be saved because of the “Main design view is locked” error. 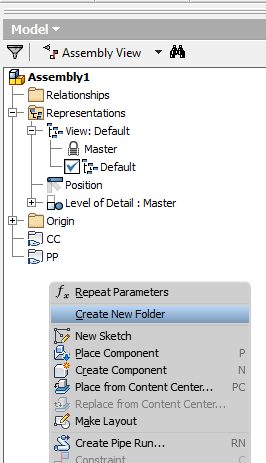 TIP: Instead of locating the template file and folder you can create a new file using New command and then save those changes in the template using Inventor (big I top left) / Save As / Save Copy As Template command. 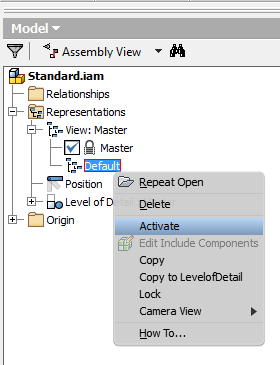 So open your standard.iam file template or fire up the new assembly command. Create a new design view representation, I call mine “Default” and set is as active. This will become the default view and hopefully if you don’t manually change it back to Master you should get over that pesky error on editing locked design views. The next one up is BOM. By default the Structured tab is disabled and every time you place a Parts List or edit the BOM you need to activate it. You then set it to All Levels, you may change the default delimiter and most certainly you will add and remove columns to suit your design needs. So why don’t you go ahead and make these changes persistent in the template? 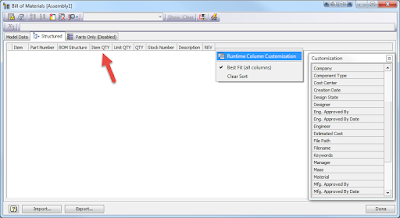 Depending on your design process and needs you might not use this but I recommend that you add Item QTY to your BOM. This will report the cumulated number of instances in the BOM. 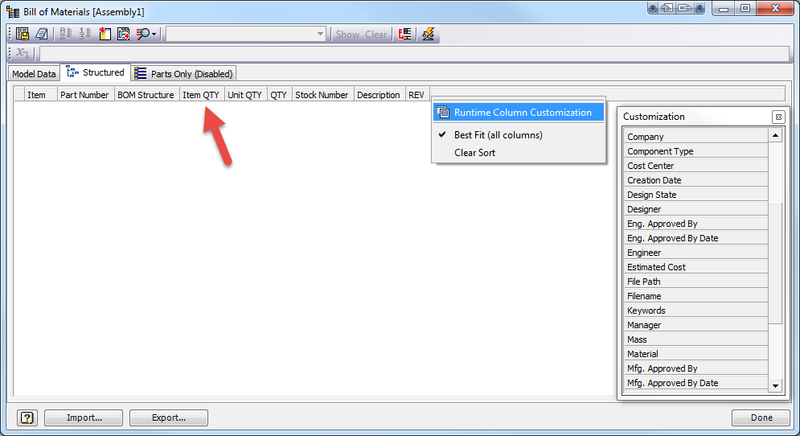 The default QTY will report the number of items as long as the item doesn’t have a length (G_L parameter) like structural sections, pipes, etc. in which case it will report cumulated length and not the number of items in the assembly. I feel better already, anything else? How about adding some virtual parts? This is where you get creative and to utilise the tip above you might want to add them to a folder called Virtual. It’s better to add as much you can think off and then delete them in the assembly later if not used. Creative? Like what? Stuff like oil, grease, man hour costs, machining costs, shipment, painting, etc. Remember that you have Estimated Cost on iproperties and virtual parts although exist in the assembly only they do have iproperties just like any other parts. You can even add a long descriptive text in the comments field. Do you need to add the Estimated Cost to BOM? How about Comments then? 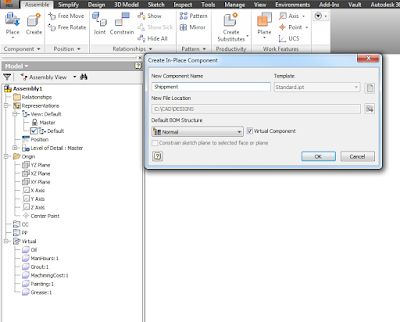 Anything you need changing in the Document Settings? Maybe you want to change the default Lightning Style, maybe not but you might want to change the default dimension display to “Display as expression” to see the full equation driving that dimension. 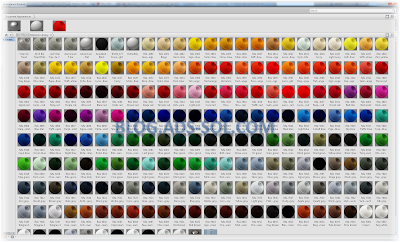 In here you can change the units as well as modelling precision. Verify all the tabs and make sure there’s nothing else that needs changing. · Parameters that you keep adding all the time like bounding box dimensions. · Add some iLogic code like one to prompt you to fill in iProperties at first save. I suggest that every time you find yourself changing settings in an assembly pause and think if this is something that might be saved in the template. If you do this for a week then you’ve probably got most of things but it’s a good exercise to do every once in a while especially with each new Inventor release.